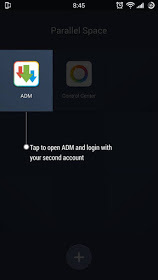 Hello Techbmc fans, here comes another amazing tutorial that teaches you how to install a single app twice on your android phones without having root access. Have you been in a situation where you wanted to run the same application twice on your phone; for example apps like Mcent, Facebook chat app, Twitter, Zoto app that gives you a whooping free airtime for making call, buying of data and lots of more, but you wanna do the zoto stuf on another sim in order to receive the free airtime from any network you are using at that moment. Instead of login out or uninstalling the zoto app, you can still install that same zoto app without it reflecting the previous installed, there by making it to be twice on same android device. Another one is Whatsapp call chat which enables you chat with friends, may be you have two different account and you needed to chat with the both account using same phone. So it is required of you to run two whatsapp app on the same phone. There are many apps that you may want to install twice on your phone which I may not mention here, but all I can do is to advice you follow the step provided below to yours done in a minute, it is tested and trusted, working perfectly. 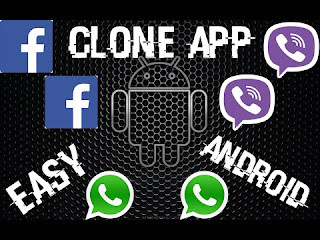 How to Run Multiple of Same App on Android Device. How to Install One Particular App Twice on Any Android Smart device. Going straight to what we have, to install same application twice on your android smartphone, it is required of you to first download an app called "Parallel Space" from the below provided link. 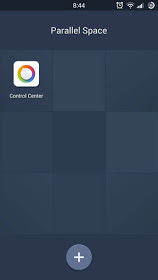 The app is the main tool that can make this trick work very well, so that is to say, it was developed for such function. >> CLICK TO DOWNLOAD PARALLEL SPACE HERE. The link will redirect you to Google play store app where you can download the app and it will install on your device automatically. 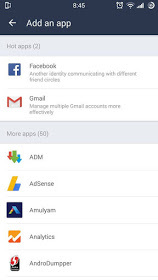 √ Three Website To Directly Download Android Apps ( Apk ) From Google Play Store. √ How to Root Any Stubborn Android Devices With The Latest KingRoot Version. √ Learn How to identify fake SD card (memory card) from Original. √ How To Uninstall System Apps In Any Android Phone In Order To Free Up Your Memory. √ How To Increase The Volume Of Your Android Phone Beyond The Manufacturer Set Up Volume. >>Let's assume you must have downloaded the app, now launch/open the app from your device, when you do that, you will see a “+” sign in startup screen of the app. 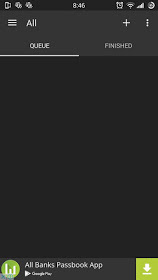 >>Next click on the + sign that you saw from the initial step above, and then, it will show you Some apps, that are already installed on your device. See screenshot of how it will look like from below. >>What to do next is to add the particular application you wish to run in multiple accounts, and then, it will redirect you to the main screen of the app, from there, you will see your choice of app, just click on it. Bravo! 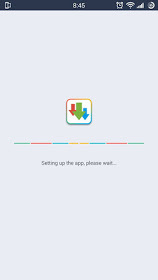 You are now running same app twice with New Data, as if you installed the app just now. You can use one app direct from Parellel Space app, and a second version of the same app you can regularly use from your App Drawer. This is how you can run multiple accounts of a single app on your Android phone. Isn't that making sense? Note: The parallel space app works only on Android phones with version 4.0 and above version . So If your android device is not upto 4.0 or above then know it that this app won't be able to function or work on such device. For those who don't know how to check their Android phone version, goto your phone settings>> check for About Phone >> Android version, there you will get to see your phone version whether it support this tutorial or not.